Here are the top 5 EU medicines policy issues which will dominate the agenda in 2018. 3. Is the intergovernmental avenue the only way forward? Following several postponements, the Juncker Commission is about to officially propose the only new legislation in the area of health. The objective is to streamline and strengthen European collaboration on Health Technology Assessment (HTA) – the way in which national authorities (or regional in some systems) judge the added therapeutic value of a new treatment. HTA goes straight to the heart of national competences for health systems, as the assessments are closely linked to pricing and reimbursement decisions. For that reason, HTA is an integral part of the access to medicines debate in Europe. Whilst HTA should be objective and impartial, pricing and reimbursement decisions are inherently based on different contexts and on the budgetary situation in every country. This makes the prospect of a new EU Regulation (binding for all Member States) look like a political minefield. So, the EU should tread carefully, but push on, as there is still real added value for European collaboration. If well designed, HTA is a powerful weapon to reduce inequalities and improve access. More clearly, closer cooperation, sharing the costs of undertaking assessments and avoiding duplication will be most beneficial for smaller countries and for those who at present have no or little HTA capacity. Several capitals, including Paris and Berlin, have not disguised their preference for the status quo or for the establishment of a voluntary mechanism. A leaked draft of the Regulation shows the Commission to be defiant, ambitious and optimistic that these countries’ reservations will be overcome. The draft foresees a new EU-wide, Member State-driven mechanism with mandatory participation and uptake of joint clinical assessments. In the 39 articles, the Commission reiterates that the proposal limits itself to clinical assessments of pharmaceuticals, does not affect non-clinical domains (economic, legal, ethical) and offers reassurances that pricing and reimbursement decisions remain a national prerogative. Whether some aspects should be mandatory was the main concern during the consultation: whilst Member States have already expressed reservations about mandatory aspects, the European Parliament has shown a preference for much closer EU collaboration in their March 2017 own initiative report on access to medicines. This potentially explosive issue is at the core of the Commission’s proposal, but for the sake of achieving progress in Council, perhaps they will need to show willingness to defuse it. Reaching consensus on clinical assessment might appear feasible but is likely to prove very complicated. The EUnetHTA experience on this front is instructive and not very encouraging as it demonstrated that methodological alignment should not be taken for granted either. The draft foresees a transitional period and a review, after which some fundamental aspects of the Regulation could be changed. For instance, no industry fees are foreseen during the starting phase. Furthermore, the Commission is supposed to provide the organizational framework during the transitional period but the draft leaves the door wide open for moving it to a new or an existing EU agency after that. Both of these points are fundamental to the credibility of a new cooperative mechanism. The draft moves towards increased convergence with the European Medicines Agency. This is problematic as the questions HTA bodies are asking are very different than those the EMA is called to answer. And finally, the Commission proposes a simple majority rule for decisions on European clinical assessments. Given the national sensitivities and concerns about direct interference, this is very unlikely to fly in Council. As to key players’ positions, the leaked draft probably satisfies most of the pharmaceutical industry’s aspirations as it places a strong focus on providing predictability and savings for business. However, in the current context of intense discussions around affordability and access, some drug manufacturers may prefer the status quo of the fragmented HTA landscape. In recent years, HTA appraisals have been attacked by the industry as they revealed the poor therapeutic value of some new medicines. This is where the risk of a “lowest-common-denominator” HTA comes in; some companies might favour lower standards and less vigorous, faster and more flexible HTAs with a lower bar for deeming a product ‘innovative’. From the public health perspective, in the HTA process, it is critical to have a full evidence disclosure obligation from the drug manufacturers, which is missing in the current draft. The time available for meaningful progress is very limited with the Austrian Presidency (July-Dec 2018) being effectively the last legislative Presidency before the European Parliament elections in 2019. It is doubtful that the first reading will be completed by then. However, the Commission’s Health Department will need to show progress internally. There is no appetite to repeat long drawn out negotiations like the Medical Devices Regulation or a fiasco like the withdrawal of the Transparency Directive. In case of a stalemate or fierce opposition, the new European Commission could (exceptionally) decide to withdraw its proposal even if the negotiations have entered the trilogues phase (direct negotiations between the European Parliament, the Commission and the Council). The fact that this negotiation is not happening in a policy vacuum adds to the complex environment. Discussions are likely to spill into the period of political upheaval around the European Parliament elections and into the establishment of the new Commission. The final outcome will be influenced by parallel ongoing discussions on other access to medicines-related issues and policies, some of which are not foreseeable now. Navigating this minefield will be worth it, though, for the sustainability of our health systems and ultimately, for the benefit of patients. There is much more at stake than the competitiveness of the European pharmaceutical sector or the smooth functioning of the internal market. HTA can be a powerful weapon to reduce inequalities and disparities in access – this must be the primary goal. Changes to the system will affect directly the lives of patients in every country. The most controversial process triggered by EU Health Ministers’ groundbreaking June 2016 Council Conclusions was the incentives review (articles 46 and 47). Ministers expressed their concerns about the abuse of some IP-related incentives in certain clusters of drug development (such as orphan drugs for rare diseases) and asked the European Commission to conduct a critical review of some additional forms of patent protection (namely the supplementary protection certificate, data protection and market exclusivity). To the dismay of the pharmaceutical industry, not only has the ongoing exercise point the spotlight at the suitability of IP rights, but also highlighted stark divisions between the generics and the originators sectors. The Council Conclusions unleashed considerable lobbying efforts to influence the findings of this hotly anticipated study, so it is hardly surprising that its publication is taking longer than expected. Both DG GROW (internal market, industry, enterprise) and DG Santé (Health) of the Commission are currently working with Copenhagen Economics, the consultancy selected to conduct the review, to finalise the report. According to the official timetable, it should be submitted to the Commission by March 2018, and will be made publicly available before the summer. The Commission still has to decide how and when it will update the Council Working Party on the findings. In all likelihood, there will be a follow-up study to elaborate on certain areas as the current study is only supposed to provide a critical overview of the incentives in pharmaceuticals. Copenhagen Economics has relied on interviews with experts and input from various stakeholders. Several Member States have submitted evidence. It is noteworthy that the Dutch government has also decided to conduct its own shadow study, to look at the same issues from a national perspective, which is also expected to be published in the coming months. A comparison of the two studies, their findings and recommendations is inevitable. Most Member States, having rallied behind the Dutch Presidency two years ago, do not wish to be unpleasantly surprised by a merely descriptive self-congratulatory Commission report. They expect, and demand, clear ways forward. For the Commission, the current study is too big to fail. That the EU Ministers asked for it from the Commission sets a precedent which cannot be overlooked. Such a study was politically inconceivable three years ago. It underlines the severity of the affordability problems faced by health systems and particularly the commitment of several national governments to keep this all-encompassing discussion moving forward. To meet the terms of reference of the study and the political context, it is expected that the Copenhagen Economics incentives review will indeed identify a degree of abuse of these additional forms of patent protection for profit maximization. This will be a first, in line with the 2016 Council Conclusions which clearly acknowledged for the first time the systemic imbalances in the pharmaceutical sector in Europe. The IP discussion is undoubtedly one of the most challenging on the political agenda. There are no easy answers, and the topic is despised by the industry. The challenging nature is all the more reason to continue – policy-makers are at last getting to the root causes of the access and innovation crises in medicines by investigating patent-based monopolies and exclusivities. The discussion is an essential signal to investors that the current pharmaceutical business model is no longer sustainable. Governments must not be dissuaded by fear-mongering and threats coming from one business sector. The incentives review must be the basis for policy / legislative action from national governments. Any follow up studies must look to solutions, and not be an excuse to delay any further. Governments have let the genie out of the bottle in calling for the incentives review. But this discussion must achieve more than being a short-term bargaining chip with pharma companies. By recognizing in the Council Conclusions the problems caused by badly used incentives governments took on the responsibility to make systemic changes to solve them. The next steps call for them to demonstrate real commitment to reform and to dedicate resources to exploring alternative business models. Any hesitation now risks maintaining or even reinforcing the current incentives mix, where the industry’s wishes are granted to the detriment of access. Governments drawing up their own wish lists (for affordable medicines, access for all, genuine innovation, sustainable health systems) can turn to the UN High-Level Panel recommendations on access to medicines for inspiration. If the European initiative on HTA were to fail, would that leave regional intergovernmental initiatives such as Beneluxa, the Valletta Declaration Group and others as the only way forward? Are they enough to address the fundamental concerns over costly medicines? In both cases the answer is No. The two avenues i.e. community and intergovernmental cooperation are not mutually exclusive and should be pursued simultaneously. Even though it’s still early days for Beneluxa et al. these are certainly game-changers as they rebalance the market dynamics and reinforce governments’ leverage in their negotiations with pharmaceutical companies. The intergovernmental approach has recently gained prominence, and rightly so, as these promising developments are pioneering. Whilst there are some shortcomings so far, the hope for 2018 is that they will demonstrate concrete results for the benefit of all patients. Another important intergovernmental forum to watch in 2018 is the roundtable discussions between EU Health Ministers and European pharma bosses (both originators and generics’ manufacturers). This forum enables a frank discussion between the two sides on mutually agreed topics where there can be tangible short and mid-term progress. Initiated by the former Dutch Minister of Health Edith Schippers, these discussions have evolved over the past two years. Three meetings have been convened so far while a recently established high-level group of experts have been tasked with preparing the next roundtable discussion later this year. The key to success for these initiatives is strong long-term political leadership and commitment from all parties involved. Beneluxa et al. are governments’ response to the “divide and rule” strategy pharma companies have been pursuing for years and a direct consequence of unreasonably high medicine prices. That said, these joint initiatives go well beyond prices, and affordability is only one of their priorities. 2018 will be the year these initiatives prove their game-changing potential. Expectations are high. But a successfully completed negotiation on a new pharmaceutical product is still missing. Once countries manage to work together and successfully complete a negotiation process, their leverage will be strengthened, and the process will become self-reinforcing. In fact, governments can no longer afford not to negotiate jointly as they recognize the costs of fragmentation and divisions. At the same time, pharmaceutical companies with truly innovative products have nothing to worry about. On the contrary, they only stand to benefit from these multi-country collaborations. As the European Medicines Agency (EMA) is busy relocating to its new home in Amsterdam, questions about the role and responsibilities of the top EU regulator in the access and affordability debate multiply. National policy-makers realise it is high time we had a political discussion about the direction of the regulator, its dependence on the sector it is supposed to regulate, its place in the world and how high to set the bar for drug approvals. It is of utmost importance to maintain European citizens’ faith in the work of the EMA and such a discussion will only strengthen the regulator and dispel any mistrust. This conversation is gaining traction as EMA priorities appear to be at odds with the political direction set by the Ministries of Health. For instance, the aforementioned Dutch Council Conclusions underlined the political concerns over the multiplication of orphan drugs. It would be great progress if the EMA were to proactively come forward with recommendations on how to fix this problem rather than pretend it does not exist. In this case, it is important to uphold the spirit of the orphan drugs regulation but not encourage the misuse, overuse and abuse of the regulatory incentives by drug manufacturers. It is the EMA’s responsibility to send a signal to the pharmaceutical industry that rare does not, and should not, mean orphaned. In doing so, the regulator stimulates genuine public health needs-driven innovation rather than imitation. This will not please the pharmaceutical industry, EMA’s client and main funder who views orphan drugs as a golden business opportunity and wants to classify as many new medicines as possible as orphans; but it will better serve the interests of patients. If not, the regulator will appear to prioritise the fortunes of one industrial sector over public health. Constructive criticism should be welcomed by the regulator and the European Commission. During last year’s standing-room only panel discussion hosted by EPHA, Open Society Foundations and the European Public Health Association (EUPHA) at the European Health Forum Gastein, the authors of a brand new British Medical Journal (BMJ) study presented their findings on the criteria which the EMA takes into account when approving new drugs in oncology. The study highlighted some essential questions: Are we the public, via the European Medicines Agency, asking drug manufacturers the right questions? Are we setting the bar high enough for new drug approvals or are we shifting the goalposts to adapt to the so-called innovation coming our way? The EMA was quick to dismiss the authors’ concerns. Instead of shying away from the issues, the Agency should listen to these evidence-based critical voices and engage in a healthy dialogue with them. The EMA should not repeat the same mistakes it made with the hugely controversial adaptive pathways school of thought. One should never forget that patients expect, deserve and demand evidence and information from the EMA, not hype and false hope. The area of transparency is another front where the Agency can be proactive. The EMA is a pioneer as far as clinical trials data transparency is concerned but there is a lot to be done in areas like the pre-submission activities including the provision of scientific advice to companies. It is unfortunate that the European Ombudsman had to intervene to trigger this important discussion and shed some light into this phase of decision-making i.e. the exchanges and meetings taking place between the regulator and the pharmaceutical companies in the pre-approval stage. This is currently a “black box” with very little public information available. Nobody argues the EMA should not be talking with the industry, but safeguards are needed. One of the pillars of the EMA’s integrity is its independence from the sector it regulates and the necessary transparency in its dealings with the drug manufacturers. Perception is as important as the reality. This is why the European Ombudsman’s inquiry is timely. Its impact will prove that an amended transparent model for the provision of scientific advice by the EMA to the industry is politically desirable and feasible. It will also show that there is no competition between the EMA and its watchdogs. EPHA together with a number of organisations, including two HTA bodies and the Belgian payers, has published a set of recommendations to help the EMA move in the direction of increased transparency. Last but not least, although the EMA is primarily a technical and scientific body, its decisions have far-reaching economic and policy consequences. It is true that the EMA abides by and implements the legislation agreed by European legislators but it is not credible for the Agency to pretend that it does not have a say in the affordability debate. The regulators have put themselves in the middle of this debate with this publication. EMA may not be a stricto sensu political body but being forthcoming, proactive, inclusive and transparent is a political choice. As the other issues on the European agenda show, there is a breakdown in communications between the pharmaceutical industry and Ministers of Health in Europe. 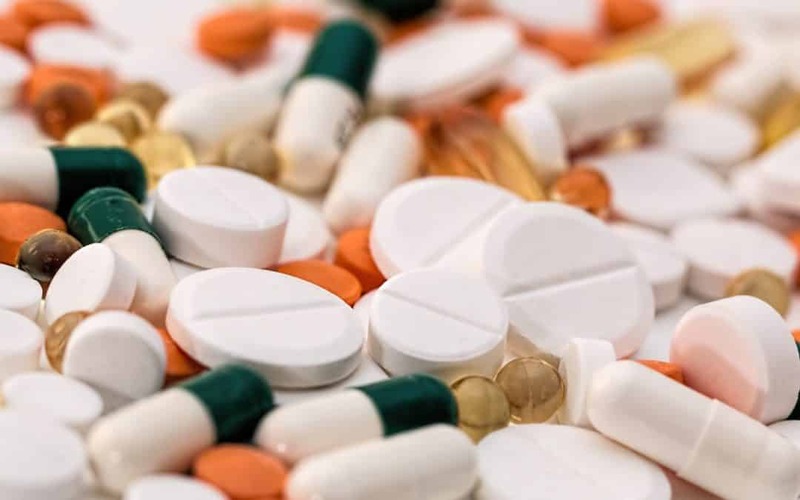 The newly-deployed tactic of public, personalised attacks on national decision-makers who express concerns over high prices of medicines, reveal a change in the industry’s lobbying strategy that might damage the relationship irreparably. In recent months, industry executives publicly threatened the government in the Dutch Parliament that they would shut down facilities in the country if the debate continued; a Swiss pharmaceutical giant attempted to blackmail the Greek government by withdrawing a product unless Athens changed its rebate policy; the French President has been accused of forgetting the national industry; we have witnessed heated exchanges at public events in Austria and Belgium. The industry is well-equipped to roll out this bullying strategy in Brussels and in the capitals, across bigger and smaller, richer and poorer countries. Notably, national pharmaceutical associations have stepped up with similar tactics deployed both publicly and behind the scenes. At the same time, the rhetoric is supported by flashy campaigns to remind national policy-makers of the significance of their sector and to highlight the risks to jobs and exports of tampering with the status quo. This is a well-worn path. This chapter of the lobbyists’ playbook has been routinely used by the tobacco lobby to delay smoke-free laws and by carmakers to water down air quality standards. This strategy centres on national finance ministries, with the aim to get them more involved in the pharma debate and prioritise the interests of one sector (a significant employer and exporter) over balancing their own public budgets and the sustainability of the national healthcare system. But when national decision-makers from some of the richest countries in the world, even Switzerland, are speaking out about having to make compromises because of increasing prices, these voices will only get louder inside finance ministries as well. This response was to be expected, as the current pressure to rein in drug prices is unprecedented. The political debate around the unjustifiably high prices of medicines started in 2014 when France put the issue on the EU Health Ministers’ agenda, but political discussion has gone up a gear since 2016. Since then national decision-makers, in concert with a broad spectrum of stakeholders, have been increasingly speaking out against pricing trends and their impacts on access. The Dutch leadership of the EU Council in 2016 empowered voices from many more countries to speak out against bad pharma practices and their impacts, especially in small and medium-sized EU Member States. Most worryingly for the industry, the June 2016 Council Conclusions were not a one-off event and are having a lasting impact. The Conclusions set out a detailed road-map for actions and processes which continue to this day, keeping the issue of high prices and other systemic problems on top of the Ministers’ agenda. Ministers of Health – already all too familiar with the tactics used by other industries to derail health protecting legislation – will not be cowed, but should feel encouraged by this escalation. It means they’re driving the agenda and moving closer to solutions. The pharmaceutical industry is understandably keen to crush the debate around high prices, but what is surprising is that in some fora, their representatives are still trying to deny there is a problem, to try to wrestle back control of the conversation. This is to ignore the fact that it was some of their own extreme pricing decisions – not least Sovaldi, but also orphan drugs and cancer treatments – that provoked all these voices to speak out. Any reputational damage is self-inflicted. If they seek to regain control, the best way is not to attempt to neutralise their critics, but to engage with finding solutions. What were the top issues in 2017?